I’ve been asked to spread the word of an upcoming car meet this Saturday. 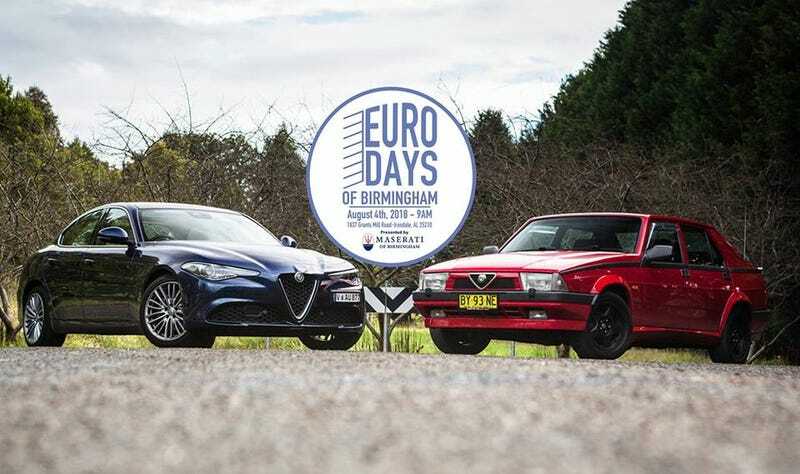 Maserati of Birmingham is hosting the first ever Euro Days of Birmingham from 9 AM to 1 PM this Saturday, August 4th. They’re hoping it will be a rather major event with a good amount of attendance, so the more the merrier. If you live in any part of Alabama and own a European car of any sort, come check it out. I’ll be there with the Outback...even though that’s not really a European car at all.